This feasibility study Recycling Waste Material Business Plan In Nigeria PDF has been recently updated and can be used for Grant Applications, Bank Loans, business Proposal writing, Business Concept Note, project etc. 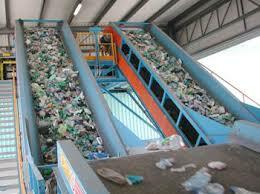 Waste materials recycling business Plan is a lucrative business that needs good strategizing and Planning to start. GET YOUR Waste Recycling Business Plan In Nigeria PDF Nigeria which contains the full financial analysis for N15,000 only. After payment text your name, your e-mail address & payment details to 07036785443 and immediately we will forward a copy of COMPLETE Waste Recycling Business Plan In Nigeria PDF & FEASIBILITY REPORT (INCLUDING THE FINANCIAL ANALYSIS to your email. Waste materials can be recycled to be a major source of other materials needed by manufacturing industries and also a huge source of electricity in some countries. While waste recycling business is a gold mine in disguise, the business is way more than just been a profit making venture, it is also seen as an effort to help rid our environment of harmful waste materials that can cause pollution as well as deface the environment. What is waste Materials ? Its important we understand the concept of waste material recycling before thinking of starting your own waste recycling business in nigeria.The word waste can be defined as any material, substance, or by-product eliminated or discarded as no longer useful or required after the completion of a process. Waste material can be any substance which is discarded after primary use, at this point it is worthless, defective and of no use. It could also be unwanted material which is left over after production process, or any output of no marketable value. Waste is any material discharged into, deposited in or emitted into an environment in amounts or in a manner that will cause harm to such environment. Recycling and extrusion facility, plastic recycling equipment, cleaning and refining equipment, local engineering and lab equipment, constant supply of used plastics, office spaces, stationeries, etc. XYZ Recycling Waste Material is a manufacturing company dedicated to recycing waste plastic materials into commercially viable products, utilizing environmentally friendly recycling and manufacturing methods in a friendly, fair, and creative work environment. Secure Supply – Contract for supply of post-consumer bottles and post-industrial manufacturing waste for PET raw material feed stock.